BinaryOptionsNow – Leading binary options broker GTOptions revealed that it had managed to implement the new trading platform developed by binary options technology developer SpotOption. 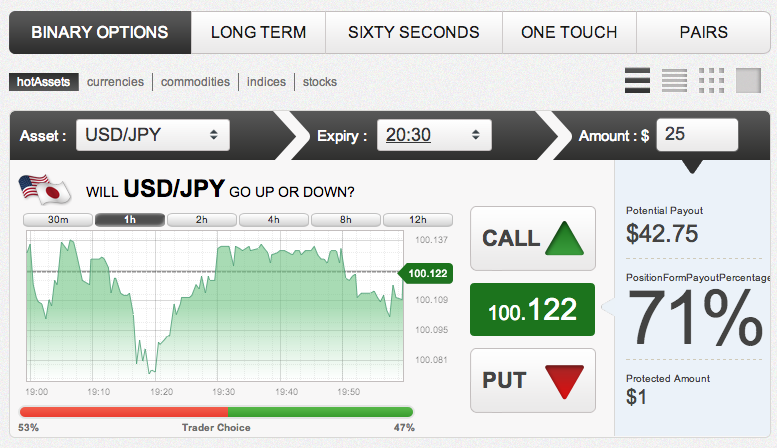 The new platform was implemented with the intention of making binary options trading easier for traders. A few months ago renowned binary options technology developer SpotOption announced the release of a new and overhauled trading software platform called SpotOption 2.0 or Spot2. The new platform came with a modernized interface aimed at making trading much easier. 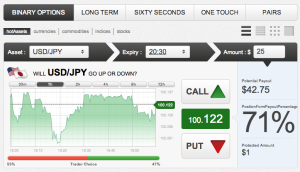 One of the most popular binary options brokers that implemented the new platform was GTOptions. Through the new software platform the broker intends to satisfy the needs of its already existing trader base as well as determine many new traders to register and deposit. One of the most important differences between the old and the new platform is the fact that the new platform offers a much better overview because of the usage of larger fonts as well as less information squeezed on a single page. The new platform also comes with an improved graph feature that makes analyzing the movement of assets much easier. The new platform also displays trader sentiment that will show the proportion of traders preferring either call or put involving an asset. This will help traders make more accurate predictions by tapping into the collective knowledge of other traders. Yet another great feature is the possibility to switch the overview of the trading platform. Traders may try out different modes such as simple table view, list view, full graph view and a special viewing mode that will only display the current value of an asset as well as the two arrows that allow the trader to purchase contracts. GTOptions is a binary options broker offering trading services on multiple assets such as commodities, stocks, forex currency pairs and indices. Traders will be able to trade using most of the existing contract types such as 60 seconds, high/low and one touch. A special feature available at the broker is the possibility to purchase long term binary options contracts. These contracts can have expiration times as long as multiple days. This will allow traders to conduct a more profound analysis making it possible to make extremely accurate predictions. Most other brokers never go above a few hours when it comes to expiration times. The payout rates offered by the broker are competitive however they aren’t necessarily higher than the ones offered by most other binary options brokers available on the Internet. Right now traders will have the possibility to deposit money with payment processors such as Moneybookers, Nordea, Ucash, credit cards and wire transfer. Withdrawals are processed by the broker’s staff within 1-2 business days and should arrive into traders’ bank or payment processor accounts within 3-5 business days. The broker will most of the time request an ID verification from people who withdraw money. This is because it’s bound to do so due to international anti-money laundering policies and various national regulations. For this reason, traders who register at GTOptions should always register with their real personal data otherwise the broker might withhold payment.